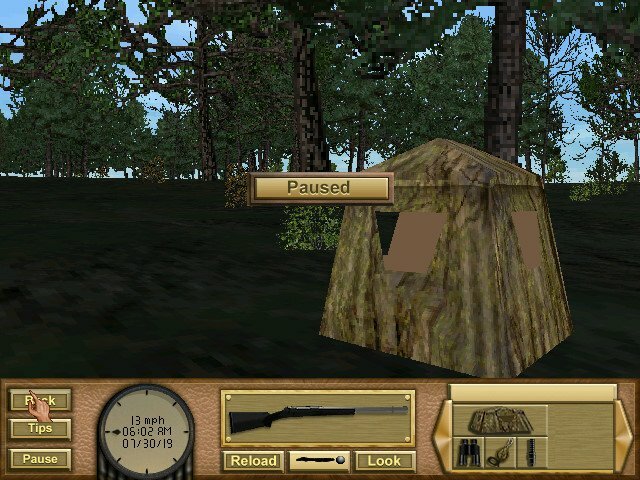 Like previous versions, Deer Hunter 3 does a decent job of simulating the real deal insofar as considering things such as sound, wind direction, and realistic gear. But as a hunter sim, it still relies on graphics that are too basic to really evoke any feeling of truly roaming the great outdoors. Let’s start with the good points. First off, one has to admire Sunstorm for trying. 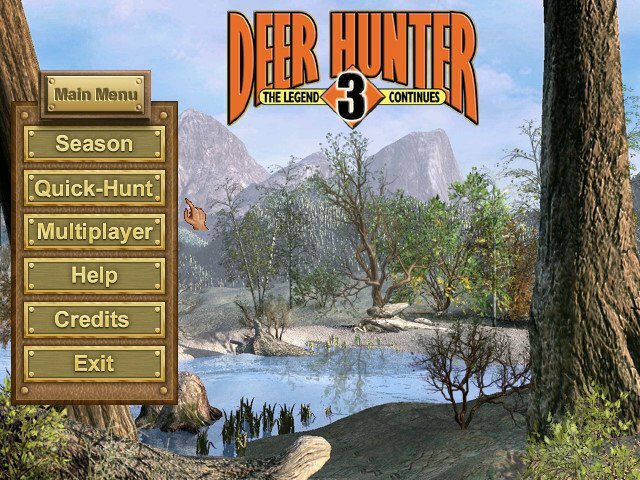 From the need to sight in your gun, to the responsive interface, to the huge levels, to the density of animals, Deer Hunter III may be the first hunting game that can be taken seriously as a simulation of hunting instead of just a hunting-themed action game. 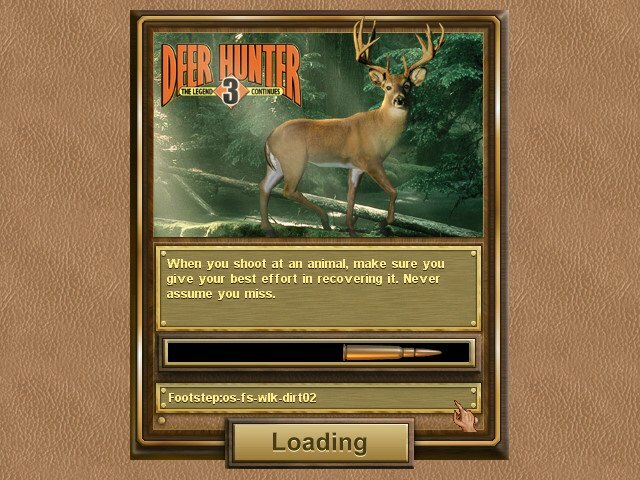 This means, though, that it’s really only for people looking for a realistic game — if you ‘re wanting to jump into a game that will let you blast monster bucks within a minute or two of starting, this isn’t the game for you. 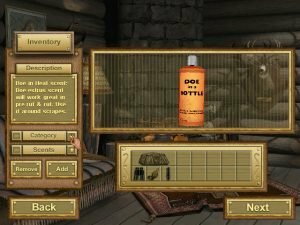 Whether you can take the game seriously as a game really depends on your attitude towards such games, and even your mood. Patience and planning are definitely watchwords here, and if that’s not what you want you’d best give this one a pass. 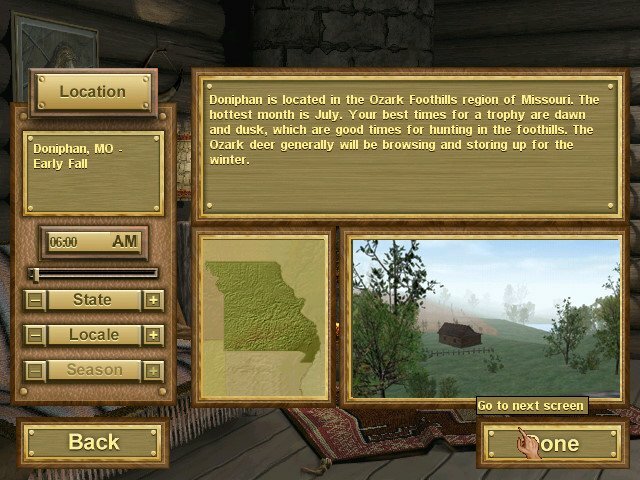 As with Deer Hunter II, the maps are very large. You won’t easily hit boundaries here. 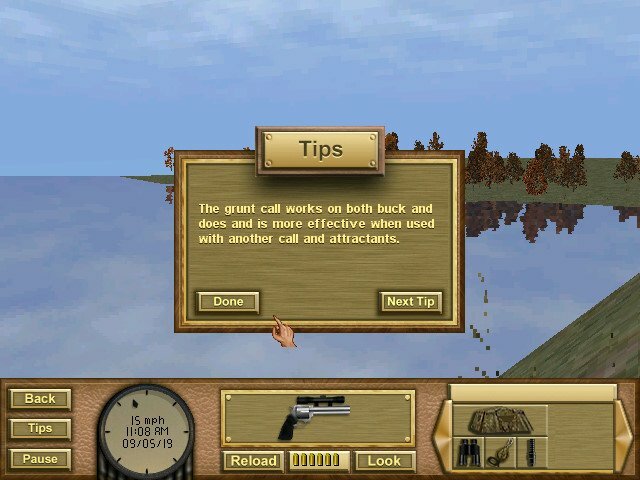 They’ve even added vehicles like trucks, ATVs, boats, and snowmobiles to cut walk time. 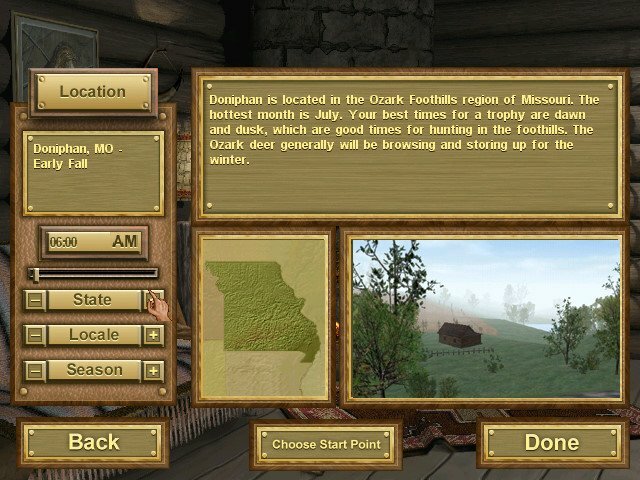 The included areas, Utah, Missouri, and Wisconsin are all well done, with Wisconsin being the best of the bunch and the closest to “real life”. Unfortunately, the excellent Pacific Northwest maps of Deer Hunter II didn’t get included. The graphics, alas, can’t begin to simulate the real deal. 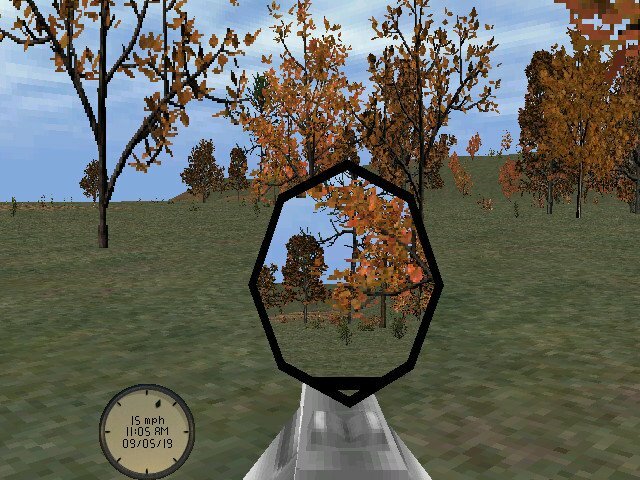 Trees are crude 2D sprites, the terrain is blocky, drawing distances are quite limiting and a view from the scope yields pixaleted graphics. 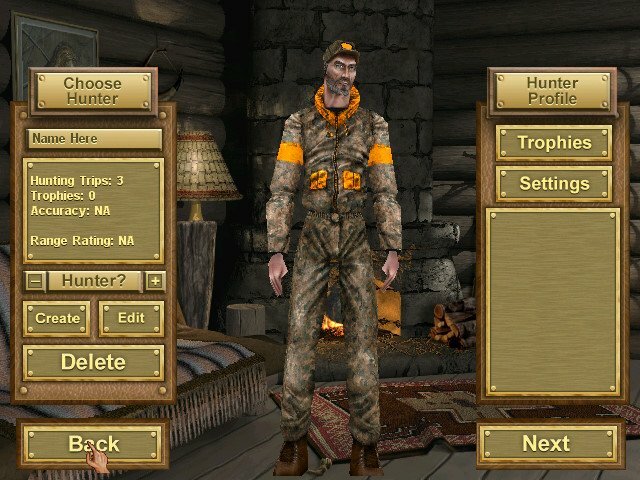 In an effort to offset its weaker points, the game attempts to add a season mode – quite a first for a hunting game. 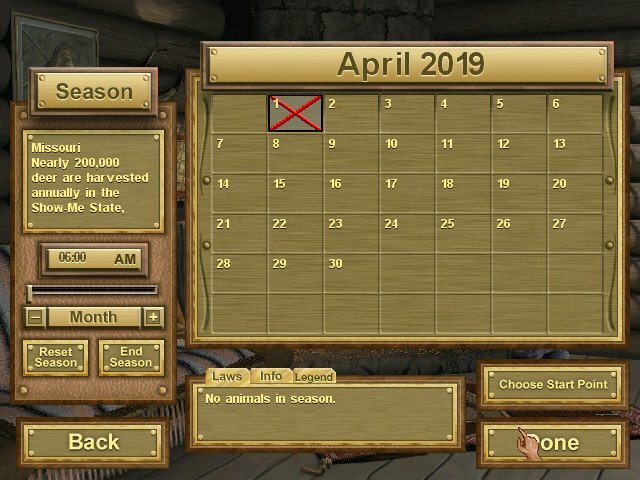 You can scout the land in pre-season, even planting seed throughout the spring and summer that will later grow into crops that will attract deer, participate in a number of different seasons (bow only, open season, etc) depending on the area you’re in, and adjust the equipment you carry between days of your hunt. 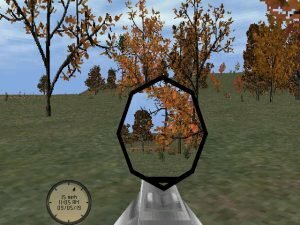 So despite the lackluster visuals and only moderately approachable first-person controls, the game itself does try and succeeds in simulating many details that you would expect from a serious hunting game. It’s too bad they couldn’t have packed said features in a better, more robust game engine.